Another thing to keep in mind when you are choosing a design is the size, shape, and weight of the invitation. The bigger or bulkier it is, the more it will cost to mail. Figure out how much money you want to budget for postage, and stick to the invitations that will allow you to stay in that price range. 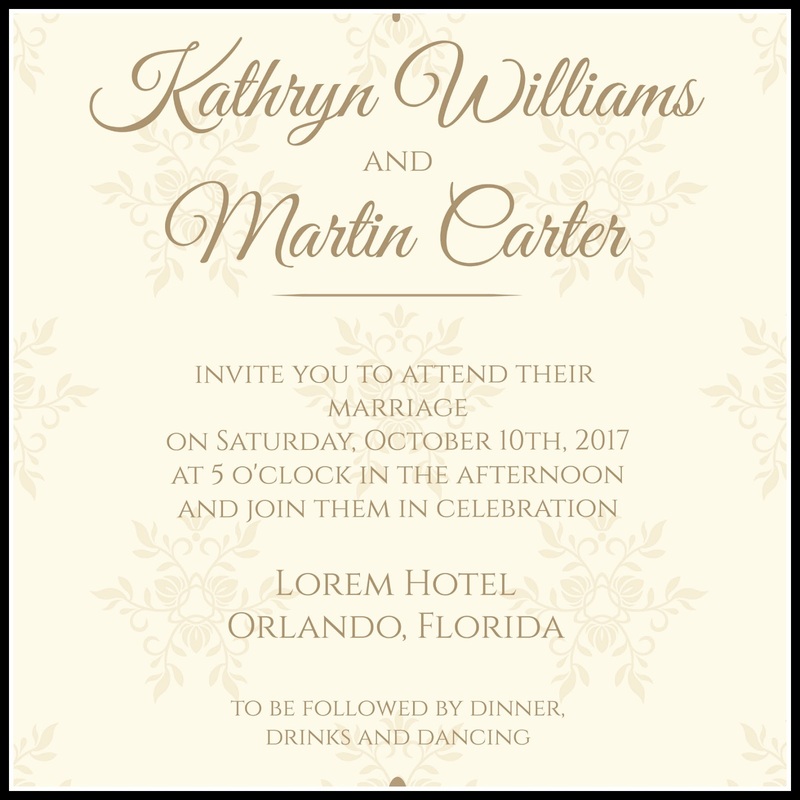 You will want to include an RSVP card, unless you choose to accept RSVPs by phone, email, or through a website. Additional sheets that you may want to have as an extra insert include: a map and directions, travel/hotel information, or reception details. If you have a wedding website to alert your guests about wedding updates, make sure the page address is included with your invitation. 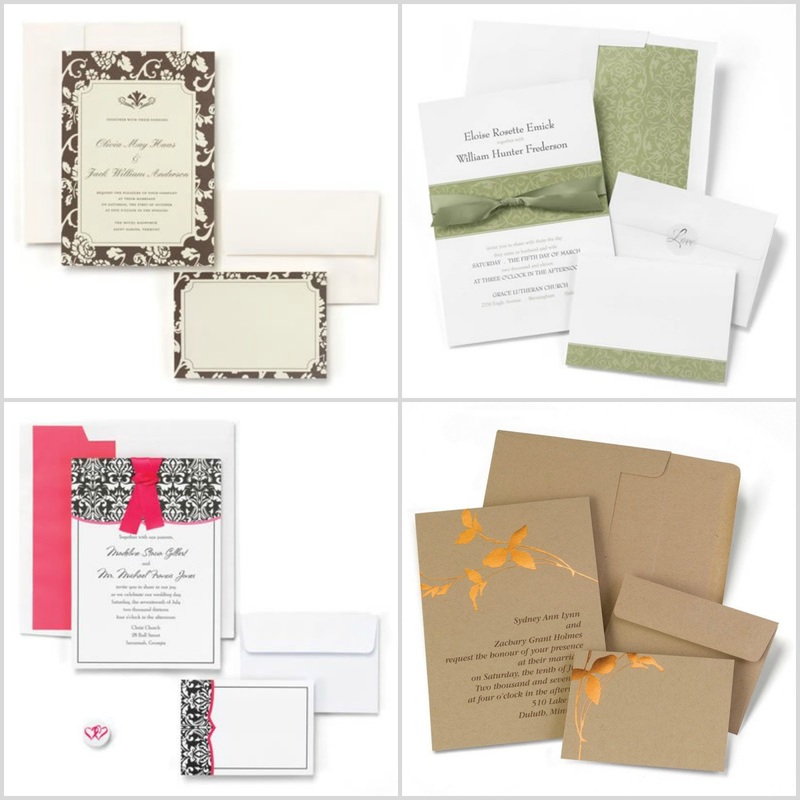 The formality of your wedding will dictate how the wording of your invitation should be. Generally, numbers such as dates and times are spelled out rather than using numerals (half past seven, the eighth day of October.) If parents' names will be included on the invitation, the hosting family will be listed first. If the couple is hosting, the bride's name will come before the groom's. 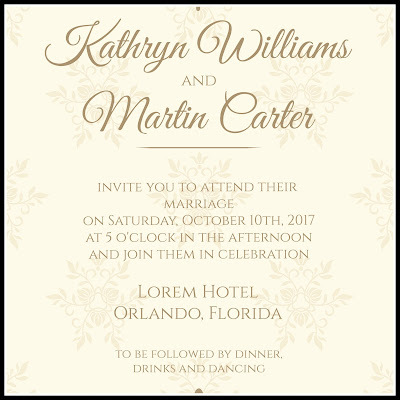 In addition to the persons hosting and the names of the bride and groom, include the date, time, and place, and what type or reception, if any, will follow. Wedding invitations only have the most basic of details, worded in a pretty way. Use inserts to give out additional information. Once everything is printed, it's time to stuff envelopes. If you are only sending a single invitation, it's a simple, yet time-consuming, task. If inserts are included, stack them in the following order before putting into the envelope. The wording on each piece of paper should always be facing up. If you invitation folds, place the stack of inserts inside of it rather than on top. With that task out of the way, you can concentrate on all of the final details that go into planning your wedding. 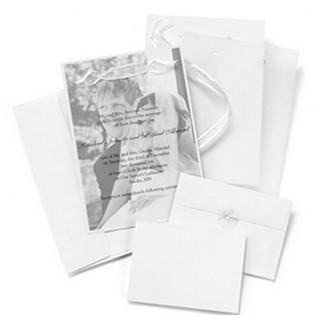 WhereBridesGo.com not only has invitations, but also everything else that you need to pull off a gorgeous ceremony and reception, plus the fun extras to go along with those. After all, we are "Where brides go for what brides love!"